Skippy peanut butter. Amazon U.K. has listed a jar of this product, around 9 pounds. Here in Canada, Skippy peanut butter is nowhere to be found in the shops. The sale of this product in not available for sale in Canada. I am not a lover of peanut butter, no way, would I pay the price, Amazon UK. Quite a number of Canadians, those who reside near the U.S. border have been buying the peanut butter and bringing back to Canada. Their are plenty of peanut butter brands available in the shops here. As I recall, growing up as a young child in the UK, peanut butter was not a staple product in our home. Is there a question here somewhere? Is it made from Kangaroos? Maybe it's meant for kangaroos! Seriously though, if you care about your health, you'd think twice about consuming it. "One of the most common ingredients found in conventional, big brand peanut butters that I avoid is hydrogenated or partially hydrogenated oil. Partial hydrogenation is a process that turns oil from its natural, liquid state into a more solid product. It changes the mouth feel of the oil and gives it (or any product containing it) a longer shelf life. Partially hydrogenated oils are trans fats, meaning they can increase LDL (bad cholesterol), make arteries more rigid and become clogged, and can lead to coronary heart disease and diabetes. Their purpose in commercial peanut butters, besides extending shelf life, is simply to make them easier to spread and more “visually appealing”. If you pick up a jar of natural peanut butter without hydrogenated oil in the ingredient list, you’ll notice some oil floating at the top. (According to the big brands, this is not “visually appealing.”) That is peanut oil that is naturally released when the peanuts are ground. Peanut oil, when consumed in moderation, can be good for you – much better than hydrogenated oil! It is low in saturated fat, is cholesterol free, and is rich in mono-unsaturated fatty acids. It can reduce levels of LDL (bad cholesterol), increase levels of HDL (good cholesterol), and help the body absorb vitamins. Apparently consumers think the naturally-occurring oil that floats at the top of natural peanut butter is messy and inconvenient. Hydrogenated oils were introduced into commercial peanut butters partly because people didn’t want to have to stir the product. If you notice on the Skippy label, the company actually spells out the reason for the hydrogenated vegetable oils: “to prevent separation.” When ground, however, peanuts naturally release and separate from some of their oil. Preventing that separation and introducing hydrogenated oil into the product is both unnecessary and unhealthy." "What's that Skip? The plane crashed down by the river and the flying doctor has been attacked by a giant Croc? I'll get the LandRover and we'll get over there right away... but do you think they might have eaten some hydrogenated or partially hydrogenated oil? Their increased LDL (bad cholesterol), will have made arteries more rigid and they might become clogged. I'd better get the winch, just in case! Jump on board Skippy, there's no time to lose!" "Look for the last time the names Joey...J.O.E.Y not Skippy! Ah such memories! 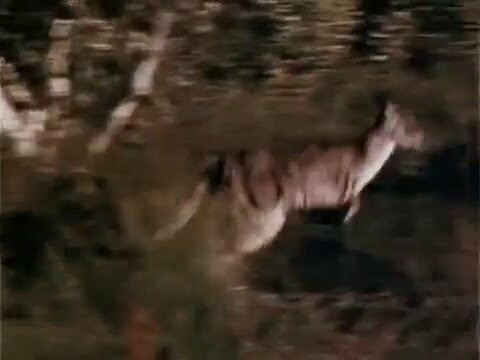 Skippy the bush kangaroo, it even sounds Australian. Last edited by arthur linden-jones; 7th May 2017, 12:17 AM. I suspect it's made from a kangaroo's billabongs - no no sorry - this is getting silly! It's a bit puzzling that they came up with the name "Skippy" rather than "Hoppy". I've yet to see a roo skip! I've read jars of peanut butter should be stored upside down (once opened), I love the stuff myself, always crunchy. Elvis Presley's favourite snack was a fried peanut butter and banana sandwich, yum yum.